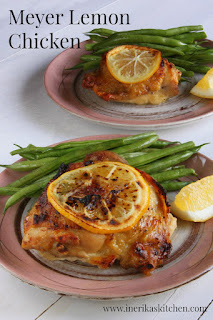 Meyer lemon chicken thighs. This is one of the easiest chicken dishes I have ever made, and I love it beyond all others. It uses four ingredients, and that's counting salt and pepper. It's made in one pan (a heavy, ovenproof skillet). It's paleo, gluten-free, grain-free, dairy-free, whole 30, low-carb, and probably ticks a few more boxes as well. If you can't get your hands on Meyer lemons, any old lemon will do. I like Meyer lemons because they have an almost floral aroma and are less acidic than standard lemons. Also because they grow in my backyard. But seriously, use whatever lemons you have. A simple, delicious, stunningly beautiful chicken dish you will serve again and again. You need four ingredients, one hour, and a hearty appetite. Heat the oven to 350 degrees F.Using a sharp knife, slice the lemon into very thin rounds. Set aside. Sprinkle both sides of the chicken thighs with the salt and pepper.Heat a large, heavy, ovenproof skillet over medium-high heat. Lay the chicken thighs in the skillet, skin side down. Cook without moving for about 6 minutes, until some of the fat has rendered and the skin is golden brown and crisp.Turn over the chicken thighs so the skin side is up. 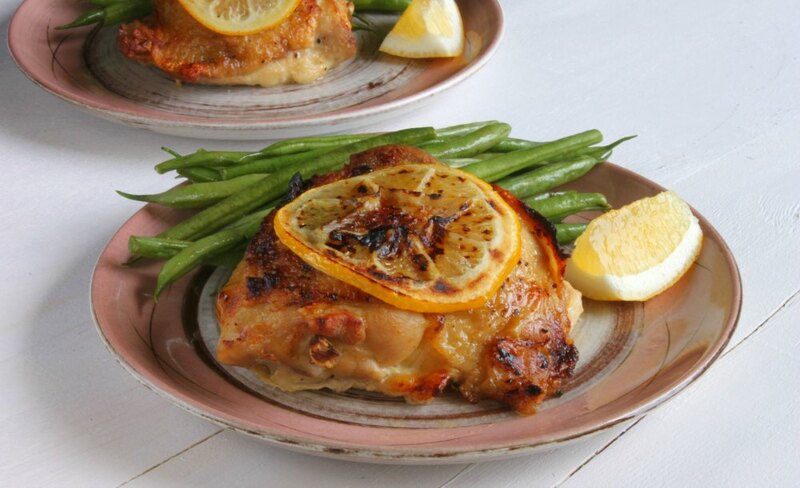 Lay a thin lemon slice on top of each chicken thigh. Tuck the remaining lemon pieces into the skillet, around the chicken pieces. Put the skillet into the oven. Roast about 45 minutes, until the chicken is cooked through. 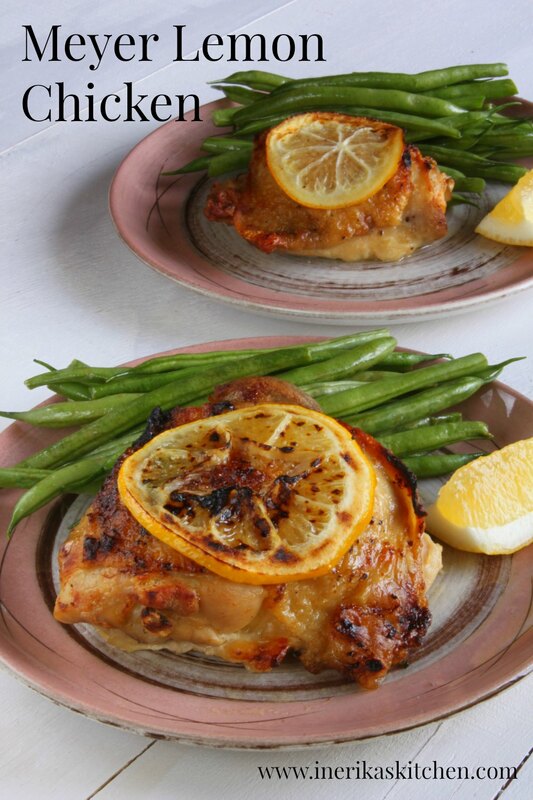 If the lemon slices haven't started to caramelize (turn brown around the edges), turn on the broiler for no more than 1-2 minutes, watching the chicken carefully so it doesn't burn.Remove from the oven and serve immediately. Yeah, THAT'S my kinda meal!